An Introduction to Water Quality Modelling Second Edition Edited by A. James Department of Civil Engineering, University of Newcastle upon Tyne, UK This book presents a simple introduction (for those not familiar with modelling, computing or numerical methods) to the use of modelling techniques and their applications in the management of water quality. Eight years have passed since the first edition of the book was published and there has been a tremendous increase in the use of mathematical models in environmental engineering, especially the control of pollution in rivers and estuaries. Modelling has also addressed a much wider range of pollutants and there has been an increase in the range of conceptual approaches to the formulation of models. The text of this second edition has therefore been modified to reflect these changes. The chapters dealing with techniques have been expanded to cover a greater range of kinetics and introduce a background of understanding for statistical techniques and time series analysis. Similarly, the chapters dealing with the application of models to rivers, estuaries, lakes, groundwater and the marine environment have been expanded and updated. The overall aims of the book, however, remain the same, making it an ideal introductory text for people wishing to learn about water quality modelling. 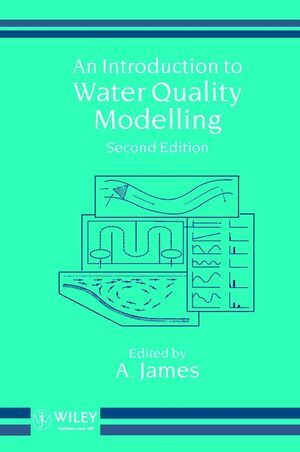 A. James is the author of An Introduction to Water Quality Modelling, 2nd Edition, published by Wiley. Introduction to Computing (A. James & S. Markham). Introduction to Numerical Methods (D. Elliott). Modeling the Fate of Pollutants in Natural Waters--Processes andMechanisms (A. James). Kinetic Modeling and Statistics (P. Berthouex). Models of Water Quality in Rivers (A. James & D.Elliott). Models of Water Quality in Estuaries (A. James & D.Elliott). Modeling Water Quality in Lakes and Reservoirs (A. James). Groundwater Modeling (R. Mackay & M. Riley). Modeling of Sewage Outfalls in the Marine Environment (S.Markham).